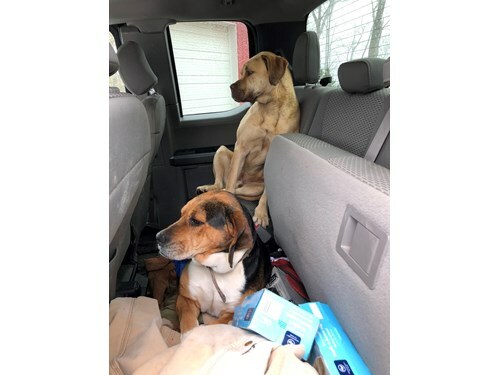 Comments: The beagle (not fixed) showed up at my house with another dog (male, not fixed, tan) who appears to be a boxer, yellow lab, possible pit mix. Both are friendly. Beagle has a slight limp.